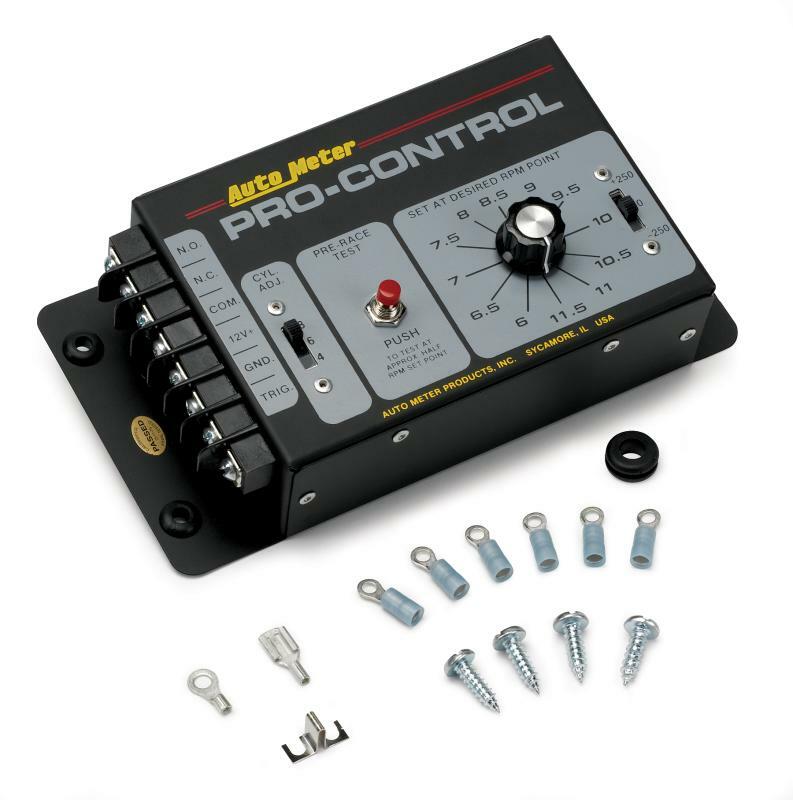 Auto Meter Pro-Controls UNIVERSAL - Pann Auto Performance - San Diego largest aftermarket automotive performance parts - What do you drive? Auto Meter Pro-Controls can be used as rev limiters, air shift activators, or nitrous oxide triggers. As rev limiters, they guard against over-revving by allowing 100 percent power until reaching the pre-set rpm level. Ignition interrupter models (without reset button) interrupt ignition power for a fraction of a second. Shutdown models (with reset button) are for super-charged (blown) engines. These units shut off engines completely until reset.